3rd year Pic 225 - May 11 2011 Reflections Hermitage, Mt.Cook, New Zealand Best seen in large size. 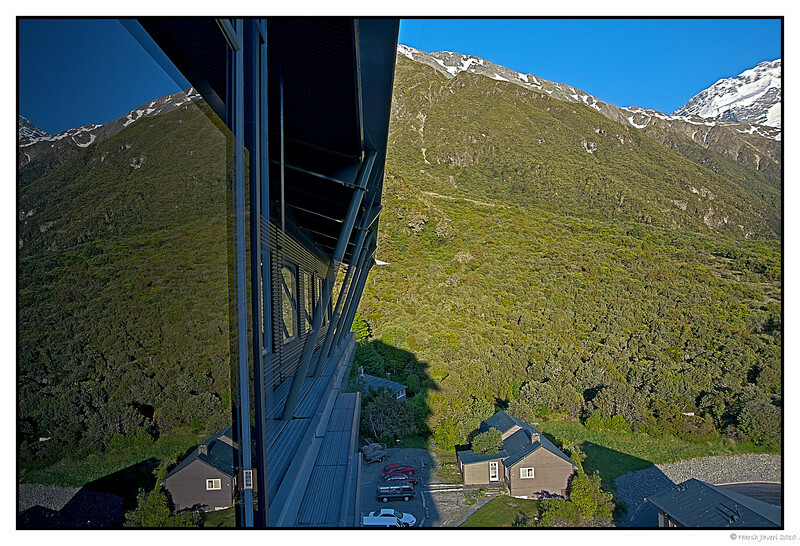 The Hermitage is located in Aoraki Mount Cook Alpine Village in the South Island of New Zealand. A spectacular 55km drive from the Lake Pukaki / State Highway 8 turn-off between Christchurch and Queenstown, the village lies deep within the Aoraki Mount Cook National Park and World Heritage area, surrounded by the silent splendor of the Southern Alps. Outstanding shot!!! I love your perspective here, very interesting! Great find and shot Hershy, I agree with the others ... you do have a fine eye for finding interesting object. That's amazing Harsh!!!!!!!!!! Ditto Irishmurr's comments - you have a wonderfully artist eye. Love this a lot! Great eye to spot the interest in this -- well captured too!